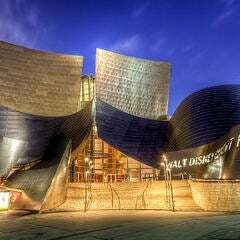 In addition to being the world’s movie-making capital, Los Angeles can also stake a claim to being one of the world’s great music cities, serving as the epicenter for everything from West Coast jazz to surf music and the singer-songwriter movement. L.A. has also made an indelible impact on the funk, punk, hip-hop and EDM genres. 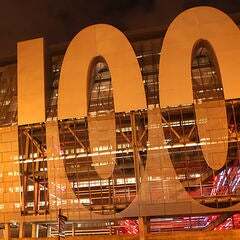 Covering all that musical ground in a day without wheels is a challenge, but an intrepid explorer can check out many of the city’s most famous music-related sites with a little creativity and an ear to the street. From WeHo and Hollywood to Downtown, explore ten of L.A.'s most famous music sites with our car-free walking tour. This full-day itinerary takes approximately six to eight hours if all stops are visited. Skip stops if you are running low on time, or want to spend more time enjoying a particular point of interest. Rock stars are notorious for staying up late, and sometimes that extends into the morning hours. 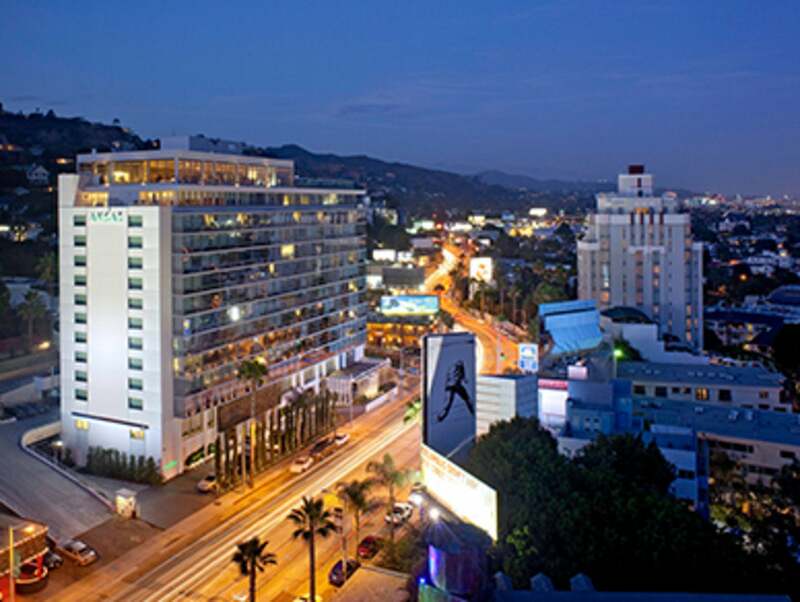 Start off your music trek with a hearty breakfast at the Sunset Strip’s Andaz West Hollywood. This modern, elegant hotel was once the infamous “Riot House” where the biggest 1970s rock stars, including Led Zeppelin, the Rolling Stones and The Who held legendary parties. NOTE: Metro Bus Lines #2 and #302 offer connections from the beach as well as Downtown L.A., with stops in front of the hotel. 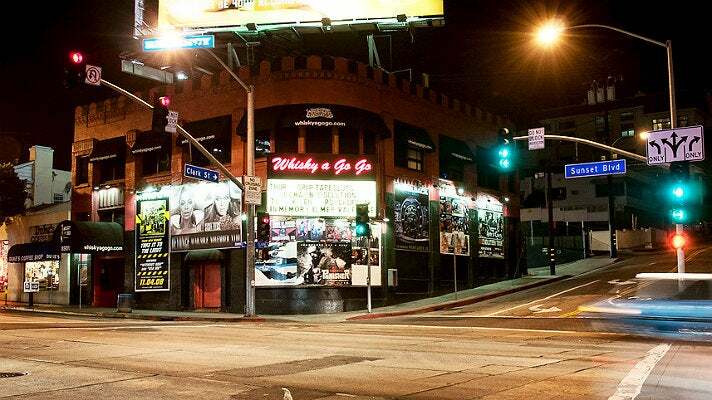 Continue west on the legendary Sunset Strip for almost a mile, until you arrive at the Whisky A Go-Go at San Vicente Boulevard. The historic venue has been a vital music spot since it opened at the corner of Sunset and San Vicente in 1964. From the invention of the go-go dancer concept to its influential role in rock, punk, New Wave and heavy metal, the club’s place in music history is secure. The long list of performers includes Led Zeppelin, The Who, The Doors, Blondie, The Police, the Ramones, Van Halen, Guns N’ Roses, Metallica and Mötley Crüe. Other famous music venues near the Whisky A Go-Go include the Rainbow Room and the Roxy (both a couple of blocks west on Sunset), and the Viper Room, located on Sunset Boulevard just east of the Whisky. Head east along Sunset from the Whisky. Bear right at Holloway Drive and walk down to Santa Monica Boulevard and the iconic Barney’s Beanery, which opened on Route 66 (now Santa Monica Boulevard) in 1927. 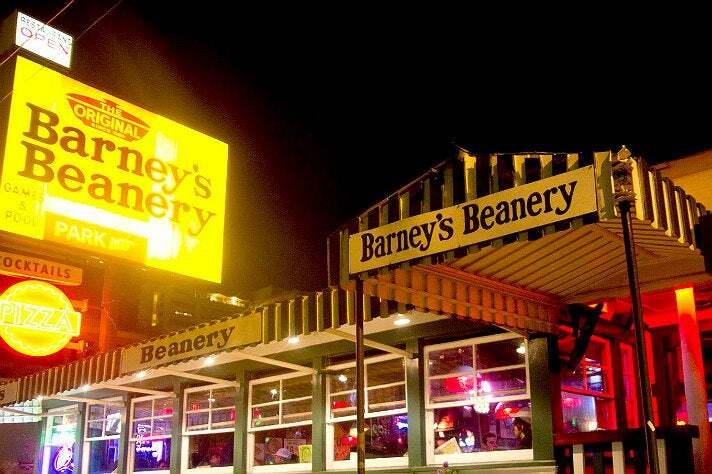 Barney's was a regular hangout for the Doors’ Jim Morrison, Janis Joplin and many other rock legends. Find the plaque marking Jim Morrison’s regular seat at the bar. The vibe is unpretentious with lots of rock memorabilia, as well arcade games, pool table, and air hockey. The menu has hundreds of items offering everything from salads and Mexican to burgers and chili. Back up on Sunset at King’s Road, hop on Metro Bus #2 or #302 eastbound and get off at Highland Avenue. At Sunset and Highland is the historic Hollywood High School, where L.A. music icons the Red Hot Chili Peppers first met. 1950s rock heartthrob Ricky Nelson attended the registered historic landmark, which was built in 1910. Its huge murals depict the many film and TV stars that were students there. Major music acts have performed at Hollywood High, including the Byrds in 1966, the Stone Roses in 1990, and Elvis Costello, who recorded his album “Live at Hollywood High” at the school in 1978. Head north on Highland Ave. to the Hollywood Bowl, the outdoor amphitheatre that opened in 1921. 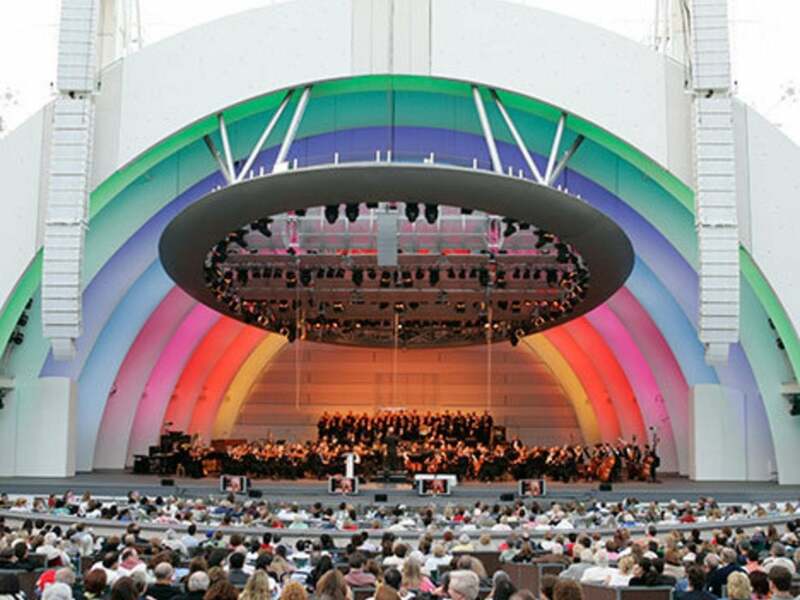 Nestled in the Santa Monica Mountains, the Bowl continues to host the Los Angeles Philharmonic as well as some of the world’s biggest music acts in its gorgeous setting. The Bowl’s season runs from mid-June through mid-September. 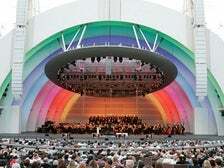 The free Hollywood Bowl Museum is open year-round and the public is invited to watch LA Philharmonic rehearsals in the summer. Walk back down to Hollywood Boulevard and hop on the Metro Rail Red Line at the Hollywood/Highland station. Take the Red Line eastbound and exit at the next stop, Hollywood/Vine. 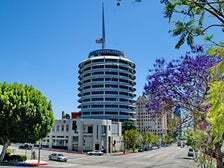 Just north of the station is the Capitol Records Building, home of the first record company based on the West Coast. The label was home to legendary acts such as The Beatles, the Beach Boys, Pink Floyd, Frank Sinatra, Bob Seger, Duran Duran, Bonnie Raitt, Robbie Robertson, Steve Miller, Tina Turner and Alice in Chains. 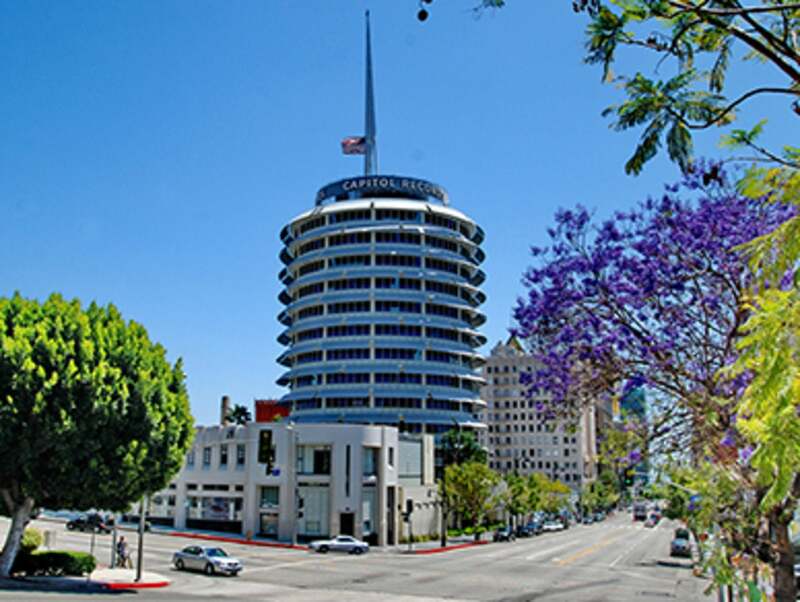 The circular building resembles a stack of LP records and the blinking red light atop its tower has signaled the word “Hollywood” in Morse code since the building opened in 1956. Its base features a mural depicting Nat King Cole, Billie Holiday and other jazz greats. John Lennon's star on the Hollywood Walk of Fame is right outside the building, and candlelight vigils are still held there on December 8th, the anniversary of his death. Music lovers should set aside some time for a detour to Amoeba Music, the world’s largest independent record store. Walk south down Vine Street for two blocks to Sunset Boulevard, turn right and continue west for one block to Amoeba. Explore the vast collection of new and used music on the main floor, DVDs upstairs in the mezzanine, or head to the back for jazz and classical. The store regularly hosts guest DJs, record signings, and in-store live performances by everyone from rising stars to Paul McCartney. A 5-minute walk east from Amoeba along Sunset Boulevard takes you to the Hollywood Palladium, a landmark concert venue that features an 11,200 square-foot dance floor and capacity for 4,000. The Palladium opened in 1940 with a dance featuring Tommy Dorsey and his Orchestra, with a young Frank Sinatra as vocalist. The Palladium was also the longtime home of the Lawrence Welk Show. 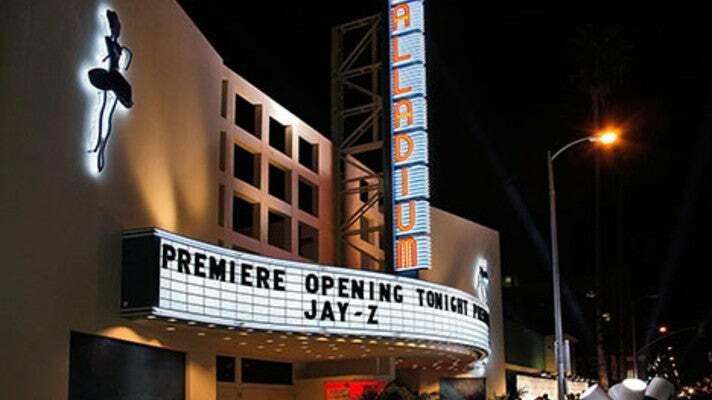 Since then, the venue has hosted performances by everyone from the Grateful Dead and Richard Pryor to Jay-Z, who performed at the Palladium’s reopening in 2008 after a year-long, multi-million dollar renovation. 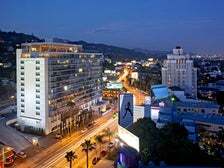 From the Hollywood Palladium, walk west on Sunset back to Vine, and head north two blocks to Hollywood Boulevard. Turn right and go one block east to the Hollywood/Vine Metro station. Hop on the Metro Rail Red Line into Downtown and get off at the 7th Street/Metro Center station. 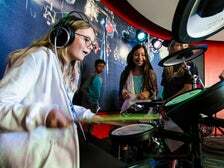 A two-block walk south on Figueroa Street takes you to the GRAMMY Museum at L.A. LIVE. The GRAMMY Museum features over 30,000 square feet of interactive exhibits and memorabilia that tell the history of rock, R&B, country, and hip-hop music. 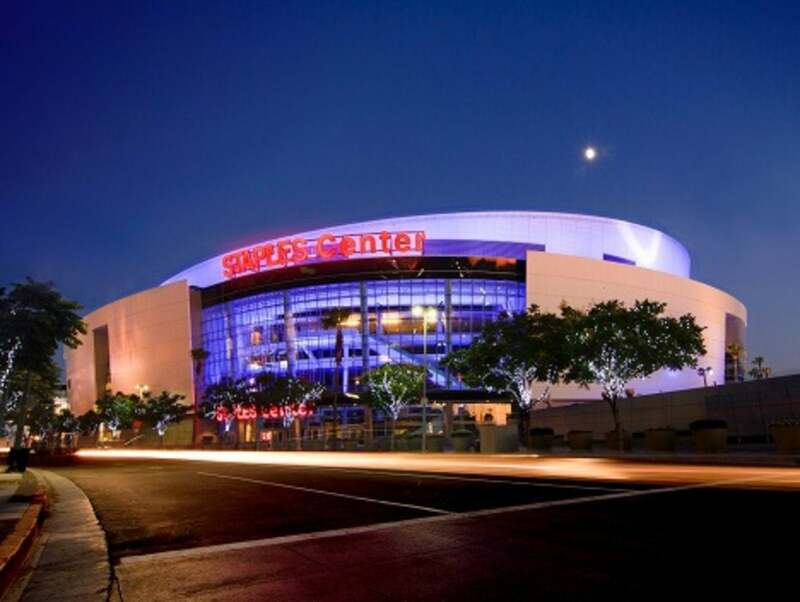 The spectacular L.A. LIVE entertainment complex offers a myriad of choices for the evening’s musical entertainment, including Microsoft Theater, Club Nokia and STAPLES Center. These venues host hundreds of concerts a year, ranging from intimate acoustic sessions to stadium acts, all within singing distance of the GRAMMY Museum at L.A. LIVE. 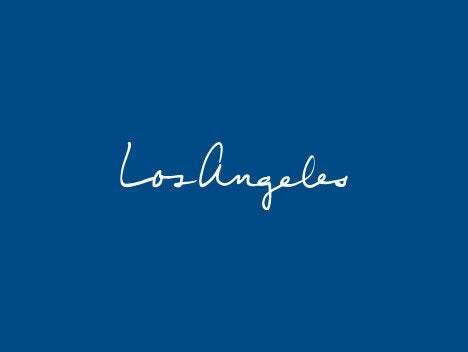 The Los Angeles Tourism & Convention Board has partnered with hotels across the city to curate exclusive travel packages inspired by the Car Free L.A. program – making it easy for visitors to stay and experience Los Angeles without relying on a car.